Package content:1000pcs plant tags X 60 feet string. Ideal for identifying groups of plants or seeds requiring particular treatments.Mkono Plant Labels will not rot as wooden tags do either. They don't rust like metal tags. Easy to write on with pencil or marker pen and easy to stick in the soil.They are perfect for labeling your plants. This waterproof and durable markers are perfect for identifying and organizing your plants.It will add fun and interesting to your garden or potted plants! Material:PVC Plastic and UV resistant, easy to stick in the soil. 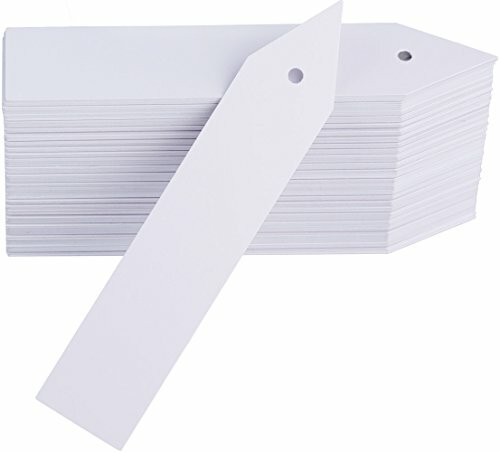 Package content:1000pcs plant tags X 60 feet string. Mkono is a registered trademark and our product is professional manufacturing and sole selling.